being the 30. day of October. ceiued ſuch Dignitie in this Citie. 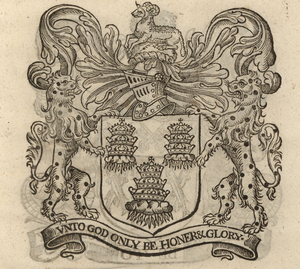 Printed at London, by George Purſlowe. 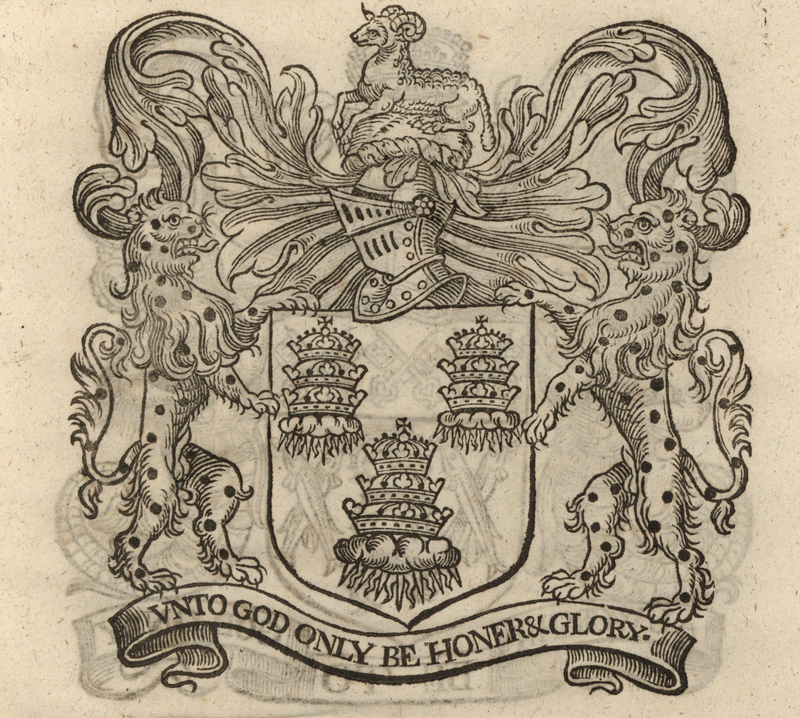 1615.
of England, triumphing a ſecond Yeere. wine ſaluteth him in this manner. the Water, at the three Cranes. Of olde Fitz-Alwine, I was rayſde from reſt. As in good Records may appeare. With whatſoere remaines in me. Two Drapers to ſucceede each other? Of cordiall and ſincereſt loue. Seru’d beſt for King and ſubiect both. Then I feare will be ſeene againe. And each their ſeuerall execution. Both for his loue and honours ſake. Which then was wonne by her direction. That euer muſt renowne your name. No Monſters dare confront your way. That beſt this day may dignifie. To make more full this day of ioy. For the poores good whom they did pittie. On then a Gods name, lets away. is well gouerned by her Captaine, Maſter, Mate, &c.
ry beſt commoditie that euer this Kingdome yeelded. triple imperiall Crownes of Draperie. guided by Time, as Coach-man to the life of man. Long may we haue them all, Time ſayes Amen. lemne Honor; ſpeaketh this ensuing ſpeech. Still at your ſeruice: So I end. Prepared for your Honours ſake. Made all the Woods to ring withall. With Much the honeſt Millars Sonne. His heart vpon a merrie pinne. The deed performed with the word. Were’t but at feaſting on a Greene. To winke at weakeneſſe in this caſe. End all with our olde hunting Song. Fauour me to moue one thing. Who begges it with a lowly ducke. Be it by day, or be it by night. Command them, and I craue no more. Out of meere loue, and pure deuotion. Robin Hood ſeales it with his word. Fall to your Sing Song. Let our cunning all be tride-a. With our bent Bowes all in our hand. What life is there like to Robin Hood? As pleaſantly as a King a. If in caſe that they were gone. That likes them halfe ſo well. For our Maſter Robin Hood. Munday, Anthony. Metropolis Coronata. The Map of Early Modern London, edited by Janelle Jenstad, U of Victoria, 20 Jun. 2018, mapoflondon.uvic.ca/METR1.htm. Munday, Anthony. Metropolis Coronata. The Map of Early Modern London. Ed. Janelle Jenstad. Victoria: University of Victoria. Accessed June 20, 2018. http://mapoflondon.uvic.ca/METR1.htm. Munday, A. 2018. Metropolis Coronata. In J. Jenstad (Ed), The Map of Early Modern London. Victoria: University of Victoria. Retrieved from http://mapoflondon.uvic.ca/METR1.htm. Sheriff of London from 1434—1435 CE. Mayor from 1445—1446 CE. Member of the Drapers’ Company. Appears as a dramatic character in Thomas Middleton’s The Shoemaker’s Holiday and Thomas Deloney’s The Gentle Craft. Personification of fame. Appears as an allegorical character in mayoral shows. Personification of the River Thames. Appears as an allegorical character in mayoral shows. Personification of time. Appears as an allegorical character in mayoral shows. Greek mythological heroes who accompanied Jason to Colchis in his quest for the Golden Fleece. In Greek mythology, Calais and Zethes were the sons of Boreas, god of the north wind. Legendary fellow outlaw of Robin Hood and one of his Merry Men, according to Anthony Munday. Sheriff of London from 1446—1447 CE. Mayor from 1457—1458 CE. Member of the Mercers’ Company. In Greek mythology, Calais was a son of Boreas and Oreithyia and one of Jason’s Argonauts. In Greco-Roman mythology, Castor, along with his twin brother, Pollux. participated in the hunting of the Calydonian Boar and joined the crew of Jason’s ship, the Argo. The twins are known as the Dioscuri. Sheriff of London from 1558—1559 CE. Mayor from 1565—1566 CE. Member of the Drapers’ Company. Sheriff of London from 1405—1406 CE. Mayor from 1413—1414 CE and from 1423—1424 CE. Member of the Drapers’ Company. Sheriff of London from 1417—1418 CE. Mayor from 1427—1428 CE and from 1447—1448 CE. Member of the Drapers’ Company. First master of the Drapers’ Hall. Buried in St. Christopher le Stocks. Legendary relative (sometimes brother, sometimes uncle) of Robin Hood. Supposed lord abbot of Christall [i.e., Kirkstall] Abbey. Greek mythological hero known for his role as the leader of the Argonauts in their quest for the Golden Fleece. Sheriff of London from 1605—1606 CE. Mayor from 1615—1616 CE. Member of the Drapers’ Company. Leviathan is a sea monster in the Old Testament. Legendary fellow outlaw of Robin Hood. Chief lieutenant and second-in-command of the Merry Men. Companion of Robin Hood and his Merry Men. Greek mythological figure who was the wife of Jason and the daughter of King Aeëtesof Colchis. Legendary fellow outlaw of Robin Hood and one of his Merry Men. In Greek mythology, Orpheus was a musician, poet, and prophet. He was a companion and the harpist of Jason and the Argonauts. In Greco-Roman mythology, Pollux, along with his twin brother, Castor, participated in the hunting of the Calydonian Boar and joined the crew of Jason’s ship, the Argo. The twins are known as the Dioscuri. Mayor of London from 1330—1334 and from 1336—1337. Member of the Drapers’ Company. In Greek mythology, Telamon was one of Jason’s Argonauts. Sheriff of London from 1406—1407 CE. Mayor from 1415—1416 CE and from 1430—1431 CE. Member of the Drapers’ Company. In Greek mythology, Zethes was a son of Boreas and Oreithyia and one of Jason’s Argonauts.